Many investors, including Paul Tudor Jones or Stan Druckenmiller, have been saying before the Q4 market crash that the stock market is overvalued due to a low interest rate environment that leads to companies swapping their equity for debt and focusing mostly on short-term performance such as beating the quarterly earnings estimates. In the fourth quarter, many investors lost money due to unpredictable events such as the sudden increase in long-term interest rates and unintended consequences of the trade war with China. Nevertheless, many of the stocks that tanked in the fourth quarter still sport strong fundamentals and their decline was more related to the general market sentiment rather than their individual performance and hedge funds kept their bullish stance. In this article we will find out how hedge fund sentiment to FleetCor Technologies, Inc. (NYSE:FLT) changed recently. FleetCor Technologies, Inc. (NYSE:FLT) was in 33 hedge funds’ portfolios at the end of December. FLT investors should be aware of a decrease in activity from the world’s largest hedge funds in recent months. 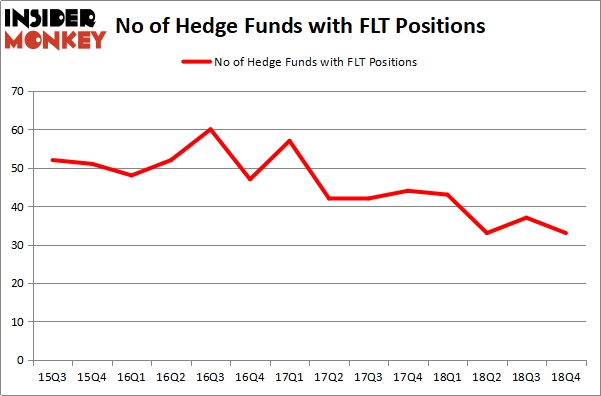 There were 37 hedge funds in our database with FLT holdings at the end of the previous quarter. Our calculations also showed that FLT isn’t among the 30 most popular stocks among hedge funds. Let’s take a look at the latest hedge fund action encompassing FleetCor Technologies, Inc. (NYSE:FLT). At the end of the fourth quarter, a total of 33 of the hedge funds tracked by Insider Monkey were bullish on this stock, a change of -11% from the previous quarter. On the other hand, there were a total of 43 hedge funds with a bullish position in FLT a year ago. With hedgies’ sentiment swirling, there exists an “upper tier” of noteworthy hedge fund managers who were increasing their holdings considerably (or already accumulated large positions). More specifically, Tiger Global Management LLC was the largest shareholder of FleetCor Technologies, Inc. (NYSE:FLT), with a stake worth $332.8 million reported as of the end of September. Trailing Tiger Global Management LLC was Steadfast Capital Management, which amassed a stake valued at $253.8 million. 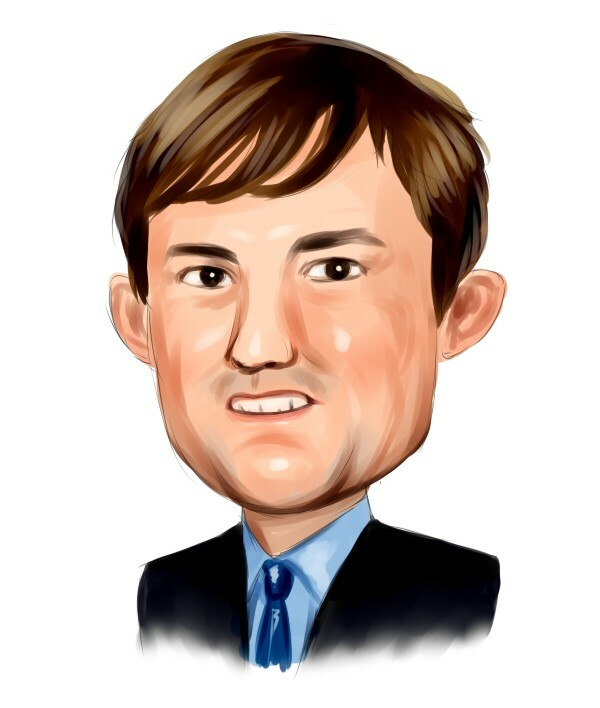 Palestra Capital Management, 12 West Capital Management, and Echo Street Capital Management were also very fond of the stock, giving the stock large weights in their portfolios. Since FleetCor Technologies, Inc. (NYSE:FLT) has experienced declining sentiment from the entirety of the hedge funds we track, it’s easy to see that there is a sect of fund managers that elected to cut their entire stakes in the third quarter. At the top of the heap, Stephen Mandel’s Lone Pine Capital said goodbye to the biggest stake of the 700 funds tracked by Insider Monkey, comprising close to $114.8 million in stock. Michael Lowenstein’s fund, Kensico Capital, also sold off its stock, about $92.3 million worth. These bearish behaviors are intriguing to say the least, as aggregate hedge fund interest was cut by 4 funds in the third quarter. Let’s now review hedge fund activity in other stocks similar to FleetCor Technologies, Inc. (NYSE:FLT). These stocks are Omnicom Group Inc. (NYSE:OMC), KKR & Co Inc. (NYSE:KKR), American Water Works Company, Inc. (NYSE:AWK), and Weyerhaeuser Co. (NYSE:WY). All of these stocks’ market caps are closest to FLT’s market cap. As you can see these stocks had an average of 28 hedge funds with bullish positions and the average amount invested in these stocks was $977 million. That figure was $1321 million in FLT’s case. Weyerhaeuser Co. (NYSE:WY) is the most popular stock in this table. On the other hand Omnicom Group Inc. (NYSE:OMC) is the least popular one with only 18 bullish hedge fund positions. FleetCor Technologies, Inc. (NYSE:FLT) is not the most popular stock in this group but hedge fund interest is still above average. Our calculations showed that top 15 most popular stocks among hedge funds returned 19.7% through March 15th and outperformed the S&P 500 ETF (SPY) by 6.6 percentage points. Hedge funds were also right about betting on FLT as the stock returned 28.2% and outperformed the market as well.